AlphaNinja: You sir, are an IDIOT. AlphaNinja - This is market-related. I swear. WSJ on runaway brides in China. 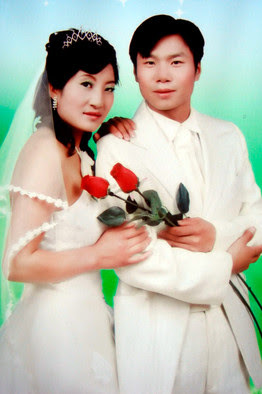 "XIN'AN VILLAGE, HANZHONG, China -- With no eligible women in his village, Zhou Pin, 27 years old, thought he was lucky to find a pretty bride whom he met and married within a week, following the custom in rural China. Ten days later, Cai Niucuo vanished, leaving behind her clothes and identity papers. She did not, however, leave behind her bride price: 38,000 yuan, or about $5,500, which Mr. Zhou and his family had scrimped and borrowed to put together."